The program presents music compiled and presented by independent scholar Emilio Cueto. 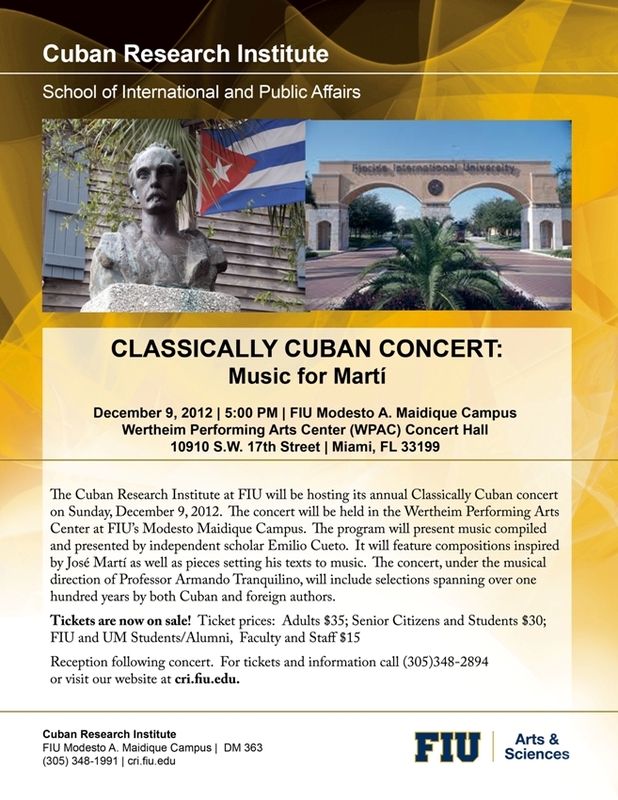 It will feature compositions inspired by José Martí as well as pieces setting his texts to music. The concert, under the musical direction of Professor Armando Tranquilino, will include selections spanning over one hundred years by both Cuban and foreign authors. Sunday, December 9, 2012 at 5:00p.m.